Since the time mobile technology has spread in the world, smartphones have become indispensable. They provide connections to loved ones, business applications, shopping opportunities, entertainment, and windows into a world of social media, education, news, history, and many other things. Moreover, the millions of apps available on the App Store of our device have made our lives simpler and convenient than ever. If you too are planning to build a mobile application for your business, then it’s vital to know the whole mobile app development process to understand whether it will fit your market niche and marketing goals. Learning the entire process will also make sure that you don’t waste your precious time and valuable resources during the development phase. Mobile App Development Lifecycle is similar to the conventional Software Development Lifecycle (SDLC) from the perspective of a mobile device. Developing a mobile app is a smooth process only when the phases of mobile app development are kept in mind. 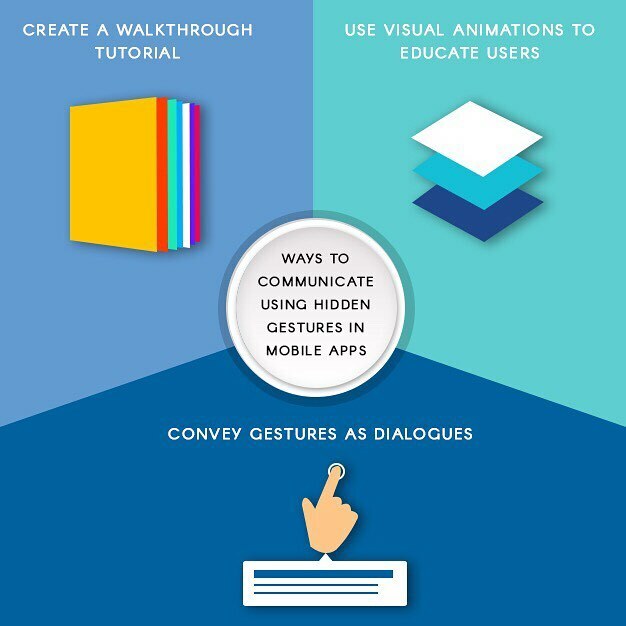 Mobile app development is a step-by-step approach. Following are the steps involved in the life cycle of mobile app development. How is your app different from the apps available in the market? Is there a requirement of such an app? On which technology will your app be based? What are the technical specifications required to install your app? How will your app solve the existing problem? Asking these question to yourself will help you get a better picture of your aim and objectives regarding your idea. Focus mainly on your target audience or the end-users of your mobile application and strategize accordingly. Make sure that your mobile app is user-friendly and serves the needs of your target audience. Any risk associated with your project should be eliminated at this stage. After you are done with requirement analysis, the next step is execution. Give an execution path to your idea by putting it down on paper. Moreover, discuss it with your target audience and take their feedback. In case of any loopholes, try to fix them as soon as possible. All elementary operations are to be done at this phase. Effective planning will measure the risk associated with your project as well as help you understand the perspective of your end-users. Use Case Diagrams can also prove beneficial to you. They are graphical representation depicting the interaction between the user and the system elements through different cases called ‘Use Case’. UML diagrams will aid you in determining the functionality of your project. Also, it will assist you in absorbing the technical specifications and complexity of your task. Before designing the mobile application, make sure that your app is technically feasible. The back-end system should support the functionality of your app. This can be achieved by accessing public data by sourcing Public API’s. Different platforms (Android, iOS, and Windows) have different technical specifications and guidelines. Knowing the technical feasibility of your app will save your time in designing a prototype of your app. Here comes the important part of building a prototype of your app. Your idea is given design in this stage. This step will ensure you whether the things are going in the right direction or not. UI/UX plays a vital role in designing. Let’s discuss them one by one. UX: UX or User Experience determines the accessibility, functionality, and usability of your app. It makes sure that your app works perfectly fine on your desired platform. Moreover, it helps in giving a rough idea regarding the looks and functioning of the app on the basis of your prescribed operating system. UX is implemented by Wireframes or Mockups using different design kits available. Wireframes are visual sketches of different pages of a website or a mobile application whereas mockups can be considered as an enhanced form of a wireframe including color and fonts in the visual sketch. Design toolkits such as Adobe Photoshop or Figma Toolkit are used to design the layout templates for a mobile app. Functionality: Your app should be scalable and easily configured on different operating systems. Clarity: The text should be legible at every size. The app should be consistent in presentation and all the page layouts of the app should be correctly interlinked with each other. User Interaction: To emphasis on user interaction, the app should be optimized accordingly. Screen orientation and concise representation of the content are some of the features that increase user interaction. Different platforms have different specifications and design guidelines regarding an app. Apple: Apple works on Human Interface Guidelines providing a different and smooth experience to the user. Android: Android has different UX frameworks on which you can build your app. Basically, the only difference between different platforms is the design layout and features that they offer. UWP: Universal Windows Platform (UWP) is another mobile operating system. App designed on UWP works only on Windows platform. Suppose you have to switch between different apps in your mobile device, then it is done differently in all the UX frameworks. Apple: Apple has a tab bar at the bottom of the screen which is used to switch between the apps. Also, when you have to jump to a different section in a currently opened app, then there is a left arrow button or the back button at the top-left corner of the screen. Android: Android has different features which help the user to switch between the app by tapping the middle button at the bottom of the screen. To move to another section of the app, Android provides a back button at the bottom right corner of the mobile screen. Universal Windows Platform: You can use the button placed at the bottom of the screen to switch between the app. Moreover, Windows provide a back button at the bottom of the screen to move to a different section of the same mobile application. UX ease the task of designing and development of your mobile app. Any flaw regarding the feel and look of the app should be terminated in this step. UI– User Interface includes all the features through which a user interact with the mobile app. It may be with the help of screen, keyboard or buttons. Graphics and colors are finalized in this part. Design your app according to your target audience using the functionality that suits them better. For example, if you are building a professional mobile app then the color scheme of your app should be decent, else use better colors and provide an optimized screen or keyboard for the interaction. Style guides are not as easy as they look. The color and fonts used in your app should be in accordance to the nature of the app. If yours is an informative app, then cluster more information under each section, and if it is an interactive app, then using bright color and attractive designs might work in your favor. Many people use both these terms interchangeably. UI and UX both are closely related and implemented one after the other. However, they have different roles to play in the app development. User Experience is implemented to increase the functionality, usability, and adaptability of your app keeping in mind your target audience; and using different frameworks and platforms on which your application can be suitably built. On the other hand, User Interaction revolves around graphics, color schemes, and interactive tools that provide a better experience to the user in using the app. In simple words, if you find something attractive but difficult to use at the same time, then it is exemplary of a good UX but poor UI. On the other hand, if you see something terrible but easy to use, then it is exemplary of a good UI but poor UX. App development is the next step after prototyping. All the complexities regarding building an app is included in this section. Choosing best programming language becomes the main concern for the developers. Swift: Developed on June 2, 2014 by Apple Inc., Swift is an open-source programming language that is used to build iOS apps. The programming language can be considered as an alternative for the ‘C language,’ including modern concepts and safety. If you are building your mobile app for the iOS operating system, then Swift programming language should be your priority. Python: Python is another popular language which was developed by Guido van Rossum in 1991. It is a general-purpose high-level language which is used to build web applications. The essential feature of this language is that it is easy to learn. Popular apps such as, Instagram and YouTube are built using this app. Java: Created by James Gosling in 1995, Java is a popular Android language. Mobile apps running on Android platforms are mostly build using Java. Easy to learn and tremendous community support are some of the features that make it the most popular language for designing applications. PHP: Hypertext Preprocessor or PHP is a server-side scripting language developed by Zend Technologies in 1995. Earlier, PHP was used to build websites. Using PHP, a user can create dynamic web applications. C++: It is an extension of C language with object-oriented features. Designed by Bjarne Stroustrup in 1985, this language was invented to overcome the drawbacks of C language. C++ is a procedural language having OOP features. Security: Security is the critical feature that cannot be compromised at any cost. Make sure that your programming language provides a secure platform to protect your program from malicious attacks and bugs. User data privacy is again a major concern for a user-friendly mobile app. Machine-Independent: Chosen programming language should be machine independent i.e., the code written on one machine can be executed on another machine. Thus, a user can run the source code on any platform without worrying about the technical specifications of the device. All high-level languages are machine independent. Easy to Read and Maintain– A programming language should be easy to read and maintain. Use of a proper set of keywords and comments help in understanding the source code quickly. Maintenance also becomes an essential aspect as continuous change in the program code is possible. Use of function libraries in the programming languages eases the task. OOPs Feature– Object Oriented Programming is a programming paradigm which uses objects and classes. Objects are real-life entities. Object is an instance of a class. Class can be considered as the blueprint of an object containing the properties and methods that the objects of that particular class will have. Data Abstraction: Abstraction refers to hiding the complex implementation details from the user. Data abstraction hide the background details of a feature. This increases human interaction. For example, if a user wishes to see the contact list in the mobile device, then he will just click the concerning button, and the list will be displayed. This is done with the help of data abstraction as the internal implementation of the database, and the complication of how a number is fetched from the device is hidden from the user. Inheritance: Inheritance, as the name suggests, is the ability to inherit properties from others. In the same way, in OOPs programming languages, one class can inherit the properties and functions of the base class. The class which inherits the properties is called a Child Class, and the class from which the properties are inherited is called a Parent Class. Due to inheritance, we don’t need to specify the properties of each class; rather we can adopt the properties from the parent class. Compiling time and execution time is decreased by inheritance. Encapsulation– Encapsulation means binding the data with the function that manipulates it. It is used to hide the internal representation of objects. Encapsulation helps in data abstraction. Polymorphism– Polymorphism means ‘multiple forms.’ It says that a function/operator can take more than one form depending upon the datatype used as a parameter, and class. Compile Time Polymorphism– It occurs at the compile time. It is achieved either by Function Overloading or Operator Overloading. Function Overloading is a term used for the functions having the same name but different parameters. When an operator performs different operations depending upon the context, it is termed as Operator Overloading. For example, ‘+’ operator is used as an addition operator as well as to concatenate two strings in the program. Runtime Polymorphism– It takes place at the runtime. It is achieved by Function Overriding. By using this feature, the same function can be present in the derived class as well as in the base class. User Acceptance Testing: In this approach, testing is performed by your target audience. For the first time, your end-users lay their hand on your mobile app and help in determining their user-friendly interaction with the app. Feedback provided by the users plays a critical role in achieving the primary objectives of your project. Beta Testing: In this approach, your app is made available for beta trial on the internet involving open participation from the people. The users can detect bugs or flaws in your app. Deploying Your App on Web Server: Back-end server is essential for the functioning of an app because it helps in transferring the data to and from the app. The app stops working when the back-end server is overloaded or not functioning properly. Thus, a server should be configured effectively to meet the requirements of your app. Amazon Web Services, RackSpace, etc., are some of the web services that are very efficient in handling the traffic. This approach will help you identify the situations where your app can stop working after it becomes popular and carries huge traffic. Deploying Your App Directly on the Play Store: Once you are sure that your app is perfectly configured, you can release it on the app store. However, you will have to fill several forms for different app stores, submit the screenshots, and write a description of the app. According to the guidelines of each app store, you may have to make some changes in the app. For example, Apple reviews your app manually. They might ask you to make some changes in your app to meet their regulations and guidelines. Once your app is submitted to the App Store, Google will make it live on the same day; and Apple within a few days. Crashes: Due to some technical problems or traffic developed on your app, your app might crash. Dealing with a crash is crucial to provide a smooth experience to the users. You can configure your app to send an email or an alert when the app has crashed. Libraries play an important role in overcoming crash issues. Libraries contain information about the user, including what the user was doing at the time of the crash, and technical information regarding the app that can help the developers resolve the issue. Sentry and Hockey are some of the apps that are used in dealing with the crash. Analytics: Analyzing the functioning and utility of your app is again a crucial feature. This helps you determine the information about your app and the user. There are some of the questions that can be answered by application analytic system such as, ‘Who is using your app?’ ‘What is the age, location, gender, etc., of the user?’ ‘A user spends how much time on the app and what pages are often viewed?’ This information can be used to determine the sections of your app that need improvement. Don’t invest your time on the sections that are rarely used. Instead try to improve the sections which are used frequently. Google Analytics and Facebook Analytics are widely used analytic apps. Different phases involved in the life cycle of mobile app development has been summarized above which will help you develop your mobile app smoothly. Summary: Development of a mobile app is considered tough as it involves many technical complications and programs. But, following a step-by-step approach always helps in achieving the goal. This article highlights different steps to understand the life cycle of mobile app development. About the Author: John Noels is a graduate in Computer Science & Engineering. Working as an academic writer at Instant Assignment Help, he has provided assignment writing help to hundreds of students so far. During his leisure time, he sets out to explore the nature and listens to music.